The Shaggy Make A Difference Foundation (SMADF) continues their altruistic work with the sixth staging of the unifying charity concert, Shaggy & Friends, scheduled for Saturday, January 6, 2018, on the prestigious lawns of Jamaica House, St. Andrew. James, Head of the Department of Anaesthesia and Intensive Care. “We therefore, feel extraordinarily grateful to the Shaggy & Friends Foundation for their on-going efforts in assisting the Hospital and the Unit. Please keep it going” Dr. James added. Totally committed to the project on several levels, Mrs. Packer-Burrell notes that organizing the 2018 staging of the biennial concert has been an incredible experience and emphasizes that the end product will be “truly awesome”. The event boasts a fantastic artiste line-up which includes heavyweight international acts performing alongside exceptional homegrown talents, all of whom have expressed a strong commitment to this cause.Among the acts confirmed for Shaggy & Friends, 2018 are Sting, Wyclef Jean, Fetty Wap, Bunji Garlin and Fay-Ann Lyons, Christopher Martin, Aidonia, Dexta Daps, Junior Reid, Shenseea, Barrington Levy, Third World, Chaka Demus and Pliers, Capleton, Professor Nuts and Wayne Wonder. Founder and chairman of the SMADF, Orville ‘Shaggy” Burrell confesses that he is “super excited and humbled” at being given this wonderful opportunity to significantly make a difference. “We are as committed to this project as we were when we first staged Shaggy & Friends in 2009. If anything, the fire is burning even brighter. This project has taken over a part of my life and I wouldn’t have it any other way. It is a great experience to be able to partner with our patrons, sponsors, other organizations and dedicated individuals to save the lives of children – our future. 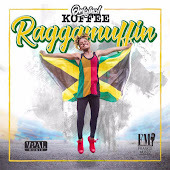 Again, I must commend the caring doctors and nurses at Bustamante Hospital for Children, who work tirelessly to perform their duties, regardless of the circumstances,” Shaggy declared. Sponsors on board are Scotiabank, Wisynco-Wata, Stewarts Automotive Group, KFC-Restaurants of Jamaica, Lasco, The Atlas Group, PhoenixPrintery, Jacqui Tyson- From Thought To Finish, Rainforest Seafoods, Jamaica Broilers, Zoukie’s, Team Solutions. And media partners BrandProfit, It’sPixel Perfect, Jamaica Observer, Market Me, Moonstone Blue, Phase 3 Productions and The RJR Group. it’s just something that I have to do. It is said that it is better to give than to receive and I must say that being on board Shaggy & Friends has helped me to experience this truism. I really must commend Shaggy and his team for their hard work and dedication and I am looking forward to serving up a delectable feast for Platinum patrons come January 6, 2018. And, of course, the décor will be truly a wow factor,” the businesswoman stated, as she flashed her signature bright smile. 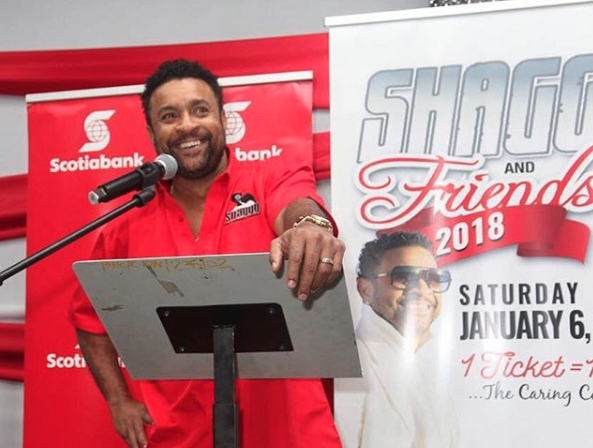 Shaggy and Friends Benefit Concert had its inaugural staging on January 3, 2009, after which the Shaggy Make A Difference Foundation was born.The organization has since donated more than US$1.5million in equipment and services thanks to the proceeds from the Shaggy & Friends concerts.